Games aren’t just better than ever for kids, the means of creating them are, too. 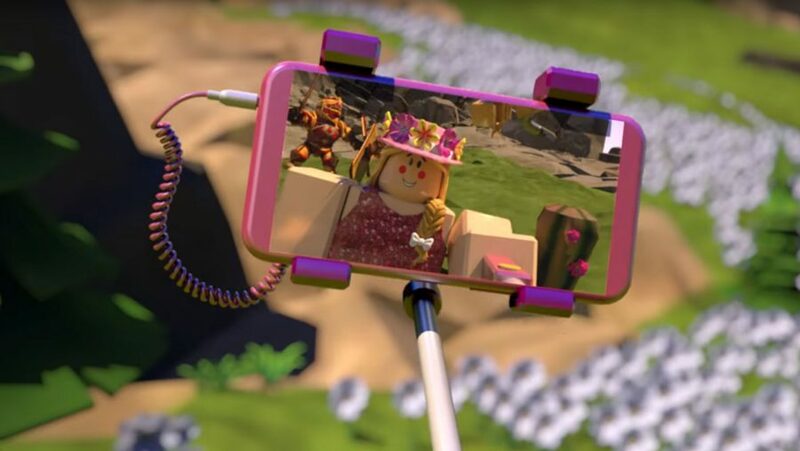 The best example of that is Roblox: a massively multiplayer online game creation platform and, since it is so easy to make something fun, there are millions of Roblox games to enjoy. User-generated creations allow you to weather the existential threat of a natural disaster, try your hand as a pizza maker, and take a break away from it all with a spot of peaceful scuba diving. From sims to RPGs and adventure titles, there are loads of free Roblox games to enjoy with 56 million other online pals. Think of it like Minecraft and LittleBigPlanet smooshed together and forged into an entire platform. With more titles on the platform than you can possibly play, we’re here to uncover the player-created diamonds in the rough and make sure they get the credit they deserve. Below you can find out the best Roblox games and more about this exciting platform. 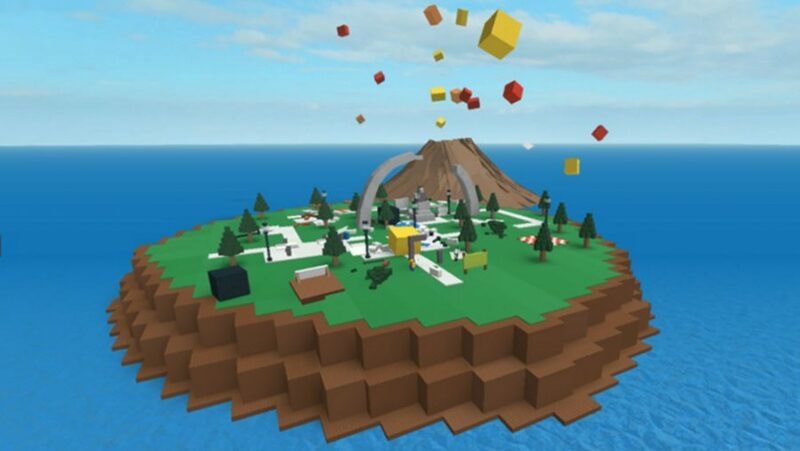 Roblox isn’t simply another Massively Multiplayer Online (MMO) title, it’s a platform that lets its users “create adventures, play games, roleplay, and learn with friends.” Everyone gets their own virtual toolbox to create their own Roblox games, powered by the easy-to-use, lightweight programming language, Lua. The result is a huge range of Roblox games that look similar with their blocky, Lego-esque aesthetic. Thankfully, then, there are options to filter games by genre and popularity. Once you’re in, you create your own avatar that stays with you across each Roblox game. Want to wear a white top hat as you start your new job at a virtual pizza company? You can. Or, how about Doge’s head, suspended in thin air beside you as you dive into the tranquil Quill Lake? With Roblox games, you do you. Roblox games are aimed at families and children, so don’t worry, there are plenty of measures in place to help keep children safe. Roblox are part of the Family Online Safety Institute (FOSI) and the Children’s Online Privacy Protection Act (COPPA). All this information is detailed in the Roblox Parent’s Guide. How do I get a Roblox login? To get your Roblox login, all you need to do is create a username and password, then add your birthday and gender. And then, after you’ve accepted all the necessary terms and conditions, you’re ready to start your Roblox download. The Roblox download is only a small one, too, at roughly 2MB. To download Roblox, play most of the games it hosts, and sign up, is completely free. 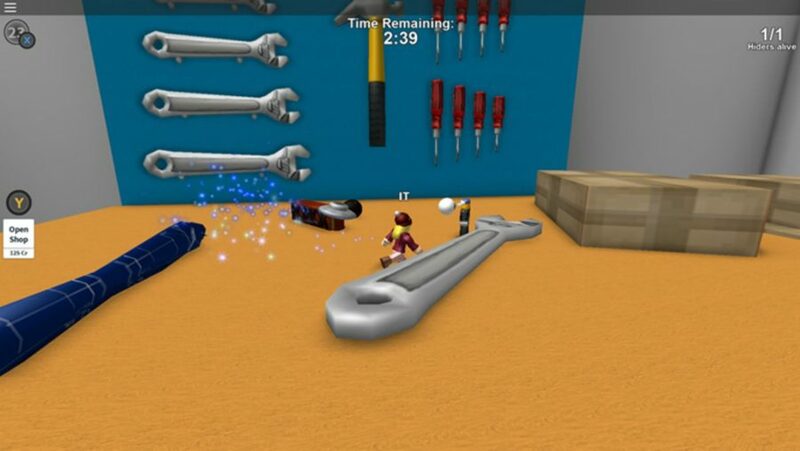 But there are some games, cosmetic items, and building tools that require Roblox’s virtual currency: Robux. 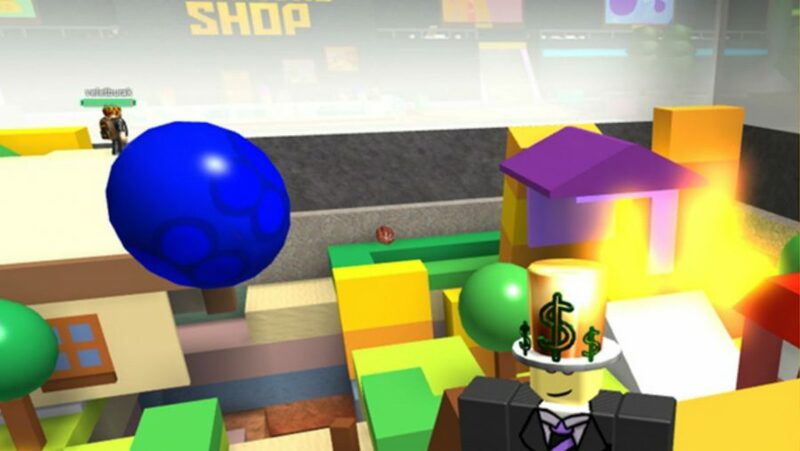 Robux can either be bought with real money or earned by creating popular games. If you create a game that pulls in many players you can get a share of the revenue from in-game ads and even charge for access to your games. You can also choose to pay for the optional Roblox Builder’s Club which lets you go ad-free and join more groups. Natural Disaster Survival has a hint of PlayerUnknown’s Battlegrounds to it. Get ready to desperately cower for dear life against the elements in whatever shelter you can find. That’s how we play PUBG, anyway. You might not be fighting each other in this Roblox game, but, you will be trying to grab cover from various natural disasters explicitly designed to kill you dead. In our first round, we had to scamper to the top of a glass tower to escape a flash flood. Then, during another round in the same map, we shot up to the top again, only to find that an earthquake necessitated our distance from all tall buildings. Cue our avatar’s disintegration into many, many pieces. If our mums saw us playing this little gem when we were younger, they might beg a little less for us to get real jobs. Scuba Diving at Quill Lake is everything Doom 2016 wasn’t: relaxing, wholesome, and chilled out. Being transported to this picturesque lake feels like a half-decent holiday as you rapaciously scour the seabed for treasure. 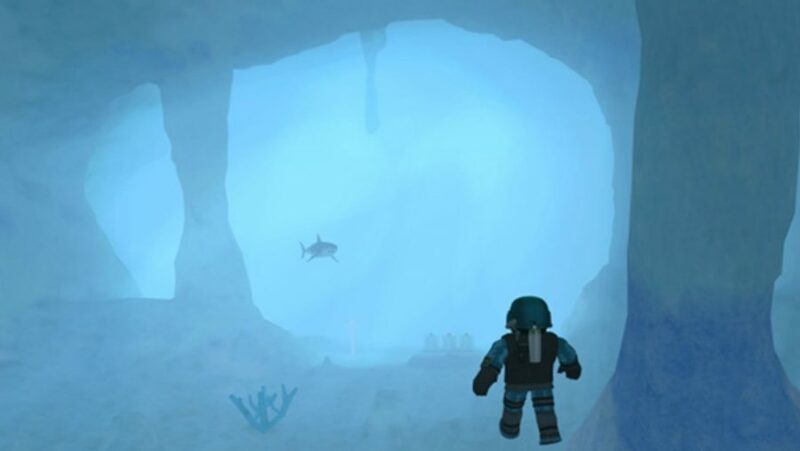 You won’t be able to access everything immediately, however: dingy caves need a flashlight and deeper, more open water will require extra training and better gear. Amassing underwater cash and collectibles to sell and upgrade your avatar keeps you exploring wider and farther. And, since this is a Roblox game, the MMO aspect of the platform gives you a ready-made team to mutually share tips and support. We did say it was wholesome. Many Roblox games are ‘Tycoon’ sims, but Theme Park Tycoon 2 is one of the best. After a short, simple tutorial you get your sizeable slab of land with which to create your own attempt at Disneyland. The user interface is streamlined and has a good choice of options, but not too many as to be overwhelming. Predictably, the aim is to create a theme park that pleases your attendees as their numbers swell and, by extension, your budget. There’s attention to detail here: you’ve got to make sure you have enough bins and other amenities to keep your guests happy and your park spick and span. If you renege on your sanitary obligations then prepare for a lot of rubbish to cover the floor. It’s not all fun and rollercoasters being a theme park designer after all. The leaderboards common to all Roblox games encourage some light competition to keep you going. With your online rivals’ money and guest tallies constantly haunting the corner of your screen, you’ll be driven to keep you chasing the theme park of your dreams. 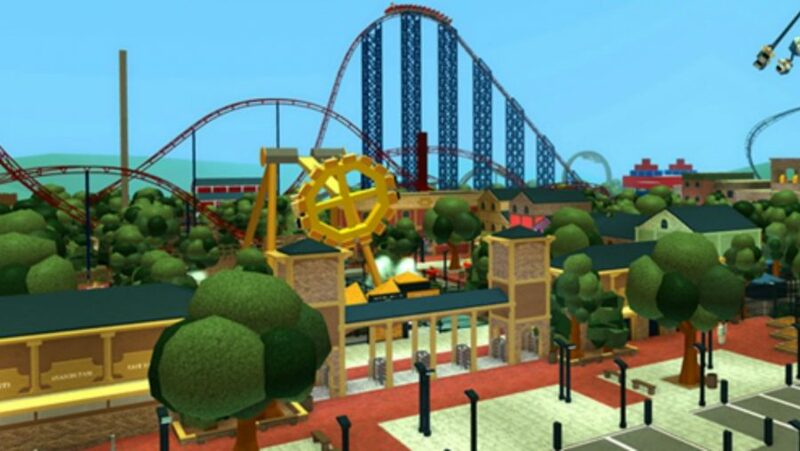 You might not be able to create the wacky parks you can find in games like Planet Coaster, but Theme Park Tycoon is a Roblox game that’s worth your time. If working for a pizza company was this much fun we’d dump our desktops for our nearest branch of Pizza Hut in a flash. 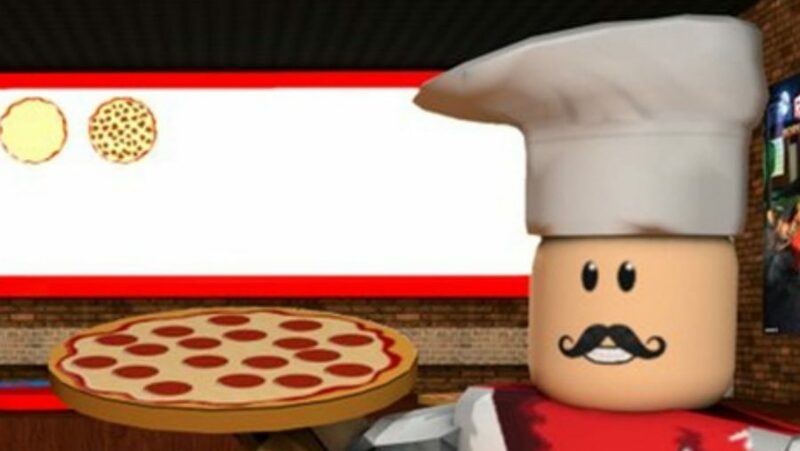 Work at a Pizza Place is a Roblox game that invites you to join Builder Brothers’ Pizza to live out your understandable dream of a being a cashier, cook, boxer (not that kind), and delivery mule. Playing around with the first three jobs is amusing enough, but you’ll have the most fun as a rude cashier, chuckling at the humorously-written indignance of your customers. Once you’re done annoying the pizza-loving populace you can test out the surprisingly sound driving mechanics by delivering customer’s orders to their door, a few houses down from your own property. Which brings us to the other half of Work at a Pizza Place: not working at a pizza place. Like The Sims, outside of working hours you use your hard-earned wages to spruce up your house. Track down a certain portal, however, and you’re teleported to ‘Party Island’, a parallel environment where you can let your grease-stained hair down to Justin Bieber’s ‘Despacito’ and other songs. 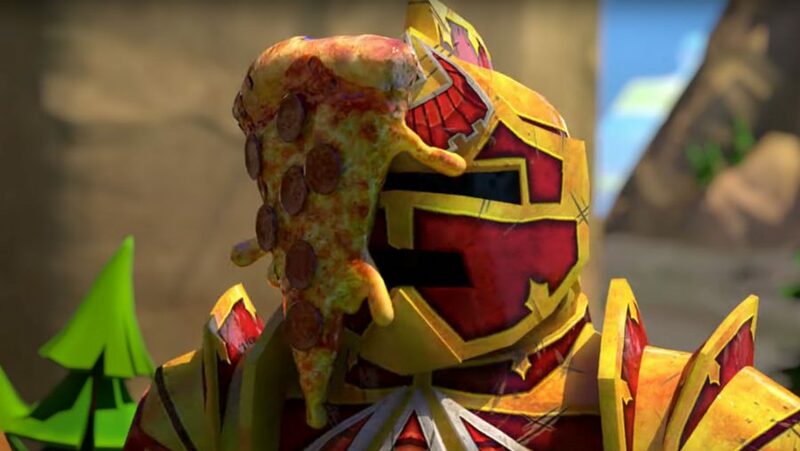 Who knew pizza workers had it so good? 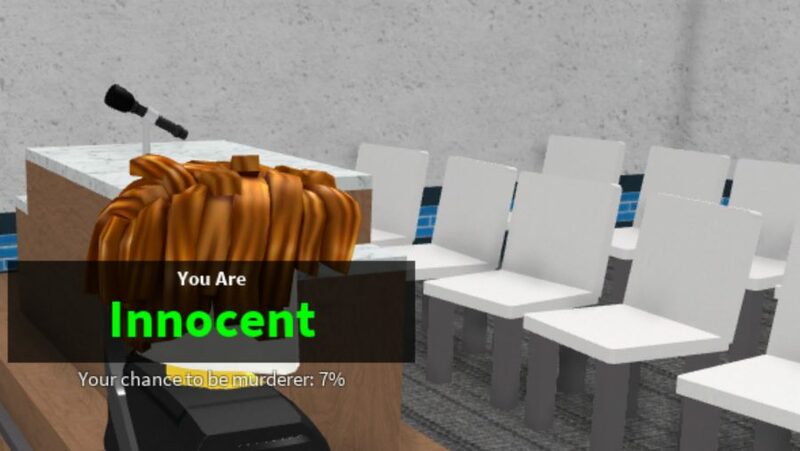 This Roblox game is a very addictive arena battler with a murder mystery twist. After players have voted on which of a variety of imaginatively designed and nuanced maps they’d like to play on, they’re given one of three roles: innocent, sheriff, and murderer. The murderer and sheriff are the only armed characters, but, at the beginning of each round, both classes start with their weapons holstered and just as anonymous as the innocents. They therefore choose when to make their move, and a thrilling level of strategy ensues as you desperately study and suspect each member of the group to see who’s looking the shiftiest. As you’d expect, it’s up to the sheriff to protect the innocents from their unknown assailant, and they’ll get bonus points for each innocent they save. Chances are you’ll be one of this unfortunate number; the only class without any weaponry, innocents are forced to flee. It’s simple but well-balanced. The murderer has a knife rather than a gun to prevent them from being overpowered when a scrap breaks out, which creates seriously frenetic fun. As rounds will only take a couple of minutes at most, the just-one-more-go appeal of Murder Mystery 2 can be quite the timesink. 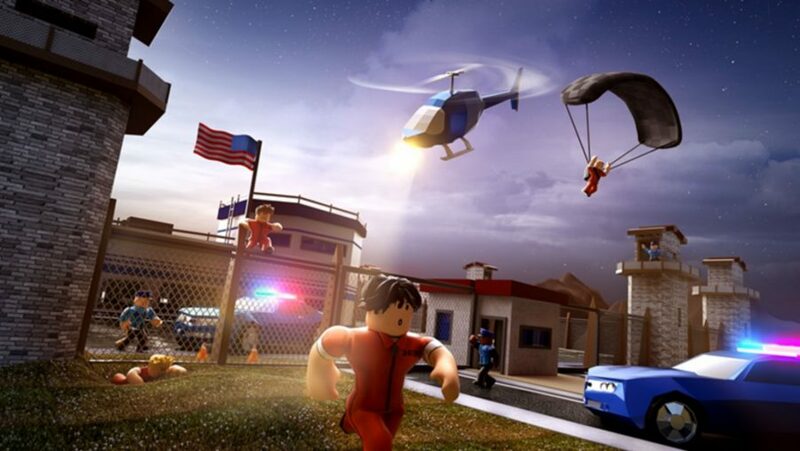 Jailbreak is as close as Roblox games are going to get to Grand Theft Auto V. You start by picking one of two roles: Police Officer or Criminal. If you pick the latter, you’ll be living out your Michael Schofield dream as you make your escape from Her Majesty’s Pleasure. Or you could spend the remainder of your days in the cafeteria and jumping on the trampolines in the yard, which is also fun. To escape, you’ll need a keycard which, predictably, your cop captors would rather you didn’t have. Anyone familiar with Fallout and The Elder Scrolls V: Skyrim will be familiar with how the pickpocketing mechanic works in this Roblox game. Meanwhile, as a policeman, you’ll be armed with a pistol, taser, and a set of cuffs to foil the attempts of your restive prisoners. However, if they do escape, the game explodes in scale to become open world. At which point a massive game of hide-and-seek ensues for the most persistent of police pursuers. Despite Jailbreak still only being in beta, this a very strong Roblox game, with plenty more updates in the pipeline. Rarely do we play games in which the pre-game lobby is about as much fun as the actual game. But we’ll get onto that in a moment. Like Natural Disaster Survival, you’ll need to evade various physics-based threats spilling from the heavens if you fancy remaining in one piece in Super Bomb Survival!!. Airborne threats come in many guises; from dynamite that explodes on a timer to spreading fires. Bombsites then reveal the verticality and destructibility of each environment – explosions leave permanent structural damage that constantly shifts throughout each two-and-a-half minute round. The real thrill of this Roblox game emerges as you scramble to find a new escape route after having just evaded another hazard through the skin of your teeth. As previously mentioned, falling prey to a bomb isn’t the end of the world (so to speak) either. Instead, you’re teleported to the spectator area surrounding the chaos to watch the remaining survivors in their desperate efforts. And if that’s not exciting enough, the spectator area is the lobby equivalent of PlayZone: there are piano keys to jump on, cannons to fire yourself from, and even a football to kick around. 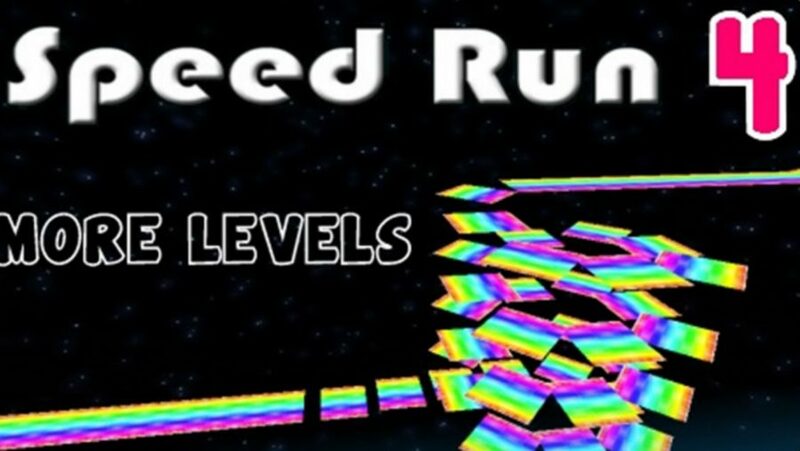 Speed Run 4 is a classic quick-fire platformer that’s perfect to play in short, lunchtime bursts. Once you cross the start line, you’re automatically placed in sprint mode and your goal is to, unsurprisingly, race through each of the 31 levels as quickly as possible. It’s simple, yes, but the level design is as eclectic as the soundtrack. One map might have you drifting across bright purple platforms to psychedelic trance, while the next might be plain white with, er, Coldplay’s Speed of Sound as your backing track – because why not? Don’t let this put you off, however: as is true with many Roblox games, Speed Run 4 comes into its own with friends. Storming through each level on your lonesome is fun enough, but racing against your fellow Roblox pals adds another dimension to this fast-paced platformer. Hide-and-seek is a rite of passage for all schoolchildren. But, where once we risked rain, stinging nettles, and more than our fair share of scraped knees, now we can enjoy the thrill of the finest playground game of them all from our desktop with Hide and Seek Extreme. In case you’re stuck in perennial detention and aren’t aware of the premise – firstly, you should think about making a change – one player is randomly selected as ‘It’ and has to find their chums after they’ve been given a short time to hide in the game’s imaginatively designed maps. So what exactly is “Extreme” about this Roblox game’s take on the concept? Each ‘It’ character has their own ability that adds nuance to your standard game of Hide and Seek. You can also taunt if you’re feeling confident in your carefully selected spot. Although, we often found we were mostly being taunted at, not the other way around. Kids can be mean. There you are, the best Roblox games you can play at the moment. That said, there are thousands of user-generated experiences to enjoy on the platform, so make sure you try as many as possible. Also, if you love Roblox games, you’ll adore Mojang’s famous equivalent, so check out the amazing Minecraft maps and Minecraft seeds you can explore. That, plus the many excellent Roblox games, will keep you busy for several lifetimes, so get cracking.